Published: Jan. 3, 2015 at 03:49 p.m. Updated: Jan. 3, 2015 at 04:16 p.m. The Cincinnati Bengals will be without their most dangerous target Sunday versus the Indianapolis Colts. The team announced Saturday afternoon it downgraded receiver A.J. Green to out. The loss of Green is huge for Cincinnati, still looking for its first road playoff win in team history. The last time the Bengals visited Indy, they got thumped 27-0 in Week 7 sans Green. Their task would once again be much more daunting without Andy Dalton's security blanket on the field. Without one of the NFL's best receivers, Dalton will lean on Mohamed Sanu. However, Sanu has fewer than 30 receiving yards in seven of the last eight games with zero touchdowns in the last six. In Week 7 at Indy, Sanu had three receptions for 54 yards in the blowout. 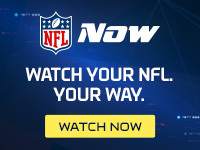 While missing Green cripples the Bengals' chances for the win, Hall of Fame running back Marshall Faulk suggested on NFL Network's NFL GameDay Morning that missing the big wideout might not be a game-ender. Faulk's reasoning is that too often Dalton locks onto Green and forces balls to his own detriment. In the end, rookie running back Jeremy Hill gives Cincinnati the best chance to pull off the road win. Hill leads the NFL in rushing since Week 9 with 929 yards. His tough, physical style coupled with big-play ability has powered the Bengals down the stretch of the season. Hue Jackson's offense will lean on the rookie once again.